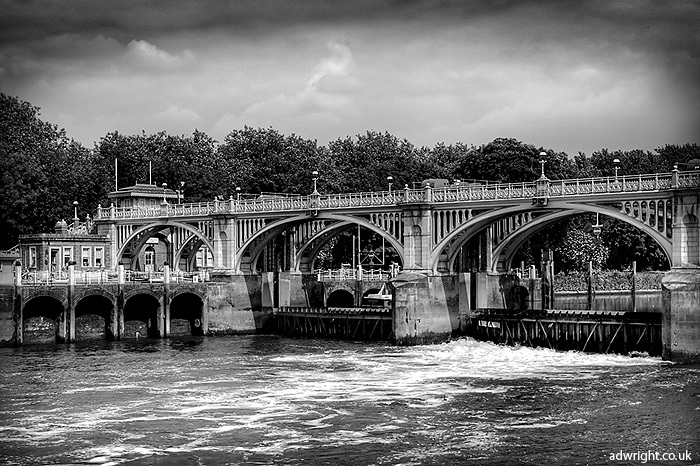 Richmond Lock is the last lock on the Thames, and includes a tidal barrage, which makes up the majority of this shot. When the tide is in, the sluice gates are raised and boats can pass underneath. However, at other times they must make use of the lock, visible on the left of the photo. Here’s an overhead photo which will probably make things a bit clearer.